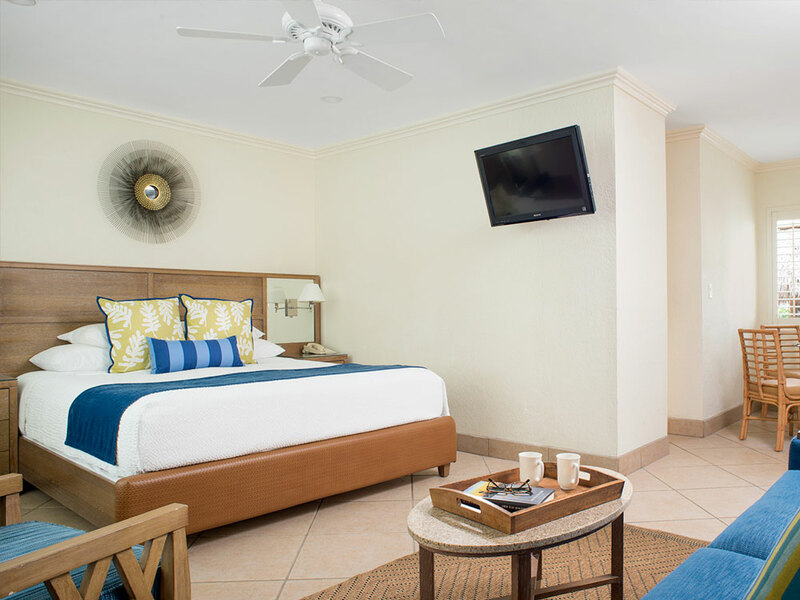 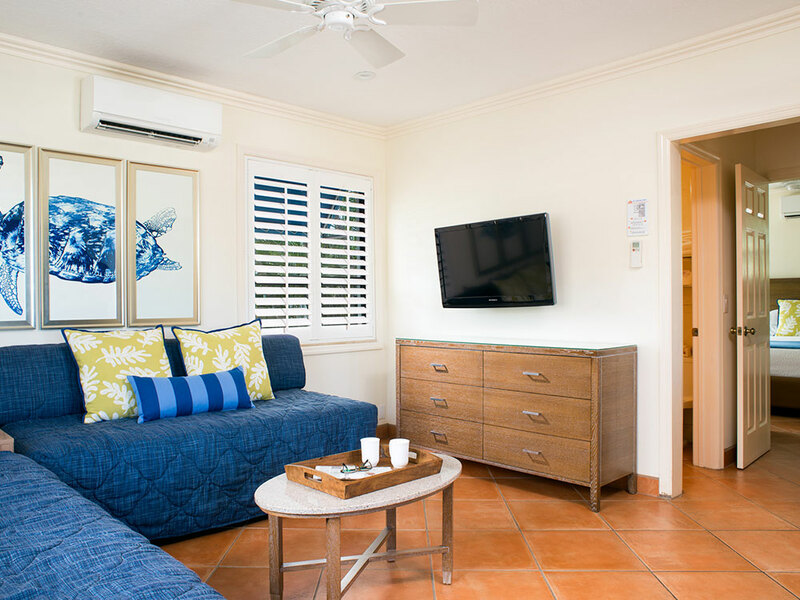 Our spacious One Bedroom Suites in The Sea Foam are some of our most popular rooms. 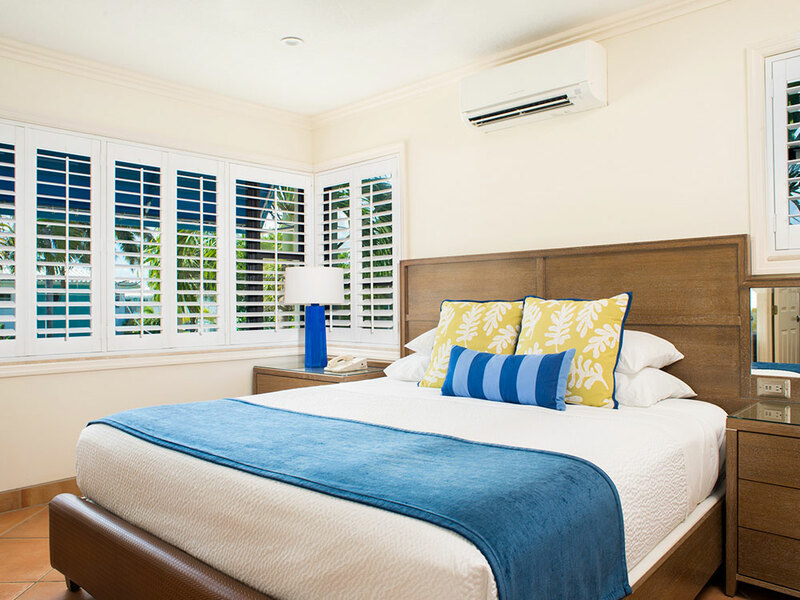 They each have a separate bedroom with a king size bed and bath. 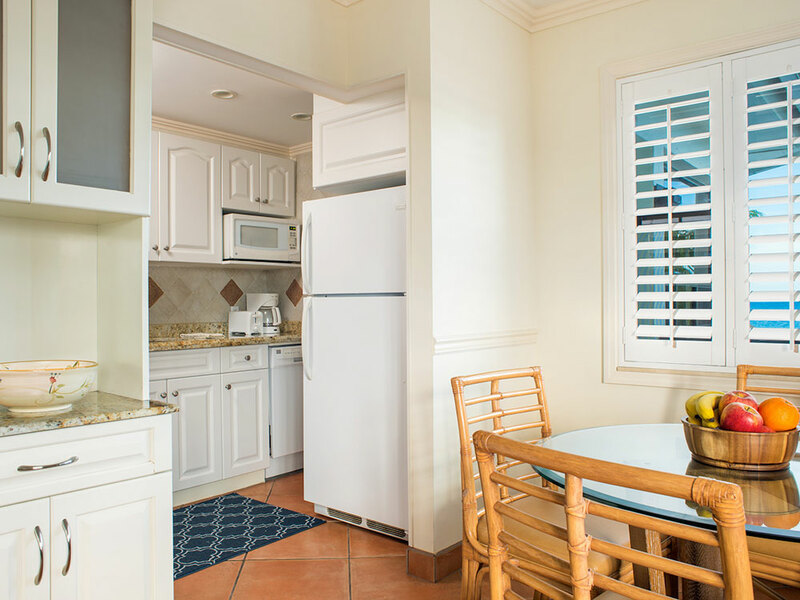 The living room has two Bahama beds*, kitchen with dining area and a second bath.